A no-cost passive income stream for your retail business. Give your customers access to buy Bitcoin fast and reliably. Drive more traffic to your store and benefit from exposure to the Blockchain revolution. Byte Federal compensates you far more than our competition. The busier your location, the more you earn! Everyone is talking about Bitcoin and digital money. 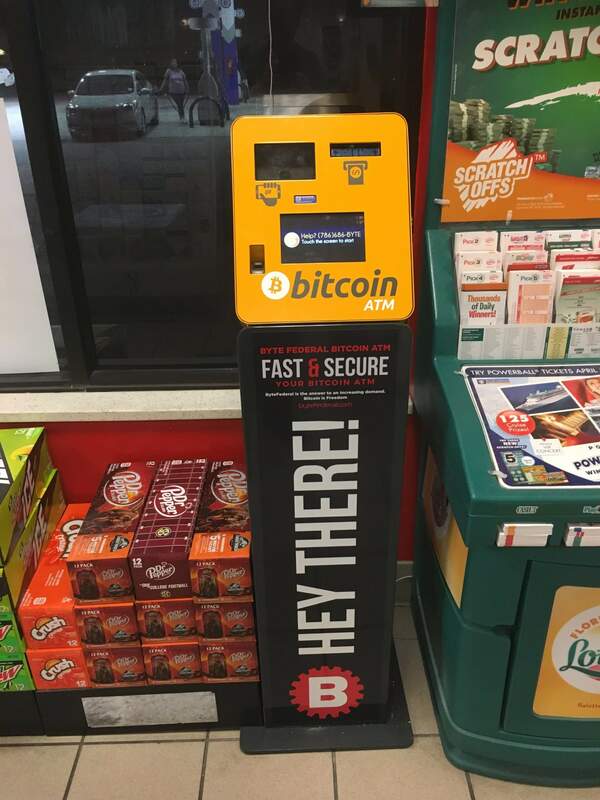 With a retail Bitcoin kiosk hosted in your store, you bring the future to your community. More customers for us means more foot traffic for you! Byte Federal is a FinCen Compliant Money Services Business. We provide the terminal & liquidity for its operation, money transport, service & support. …call us today to schedule your Bitcoin kiosk installation at no cost to you.